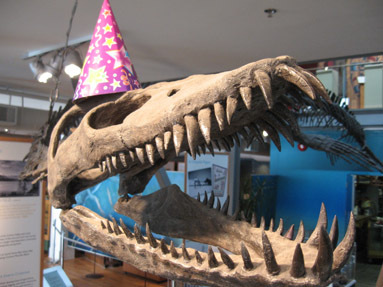 It's time once again for our annual open house in honor of the Elasmosaur's birthday. This year he is 80,000,027 years young! Be sure to drop in to help us celebrate his birthday and the start to the Christmas season from 11 am to 4 pm on Saturday, November 14th. 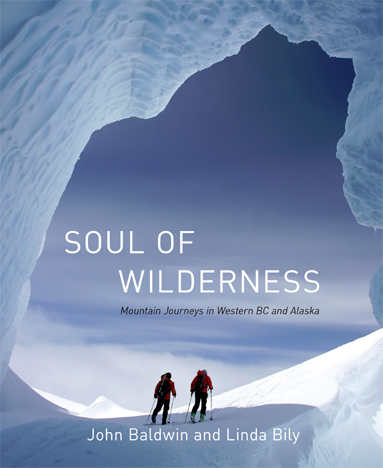 Partners, co-authors and photographers Baldwin and Bily have ventured into the magical landscapes of the Coast Mountains. Travelling by foot and ski, their goal was simply to experience and document as much of these remote places as possible - to wander across the high meadows, ski from mountain tops and revel in the artful patterns of new-fallen snow. 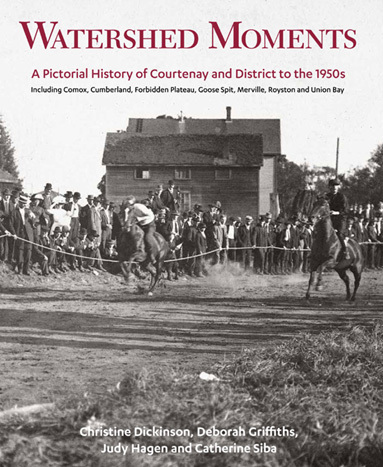 The Comox Valley's newest history book, Watershed Moments, got off to a flying start at its launch last month. The hard cover coffee table book that features more than 150 photographs from the collection of the Courtenay and District Museum is garnering terrific reviews. Sales have been brisk so make sure you pick up your book soon. Copies are available at the museum gift shop, Laughing Oyster Bookshop and Blue Heron Books. 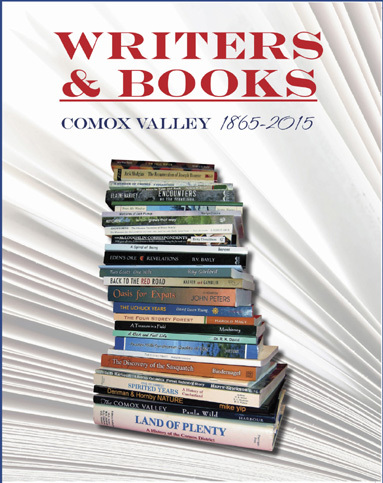 The public is invited to a book launch for Writers and Books, Comox Valley 1865-2015. This volume from the Comox Valley Writers Society celebrates 180 Comox Valley writers whose work has appeared over the past 150 years. Everyone is welcome to attend this free event at the Courtenay and District Museum on Thursday, December 3 at 7pm. The doors will open at 6:30 pm. On Remembrance Day we remember the men and women who have served, and continue to serve our country during times of war, conflict and peace. This month we also remember with great respect, Margaret Sarah (Maudy) Hobson (November 9, 1922- October 21, 2015) For more information, click here. The Courtenay and District Museum lost a long-time friend and board member this month with the passing of Harry Squire on October 31. More information, click here. The Comox Valley Echo and the Courtenay Museum have teamed up to produce a Courtenay Centennial souvenir magazine featuring museum and community images and historic stories by local authors. 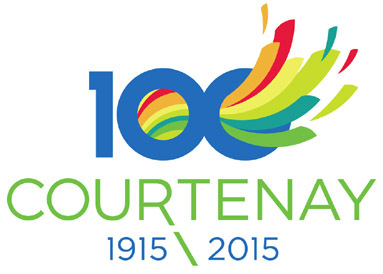 Courtenay 100 Years of History, 1915-2015 is a tribute to the centennial year. "We say thank you to the Echo who have given generously on this project and done a great job and to the many businesses who have advertised. 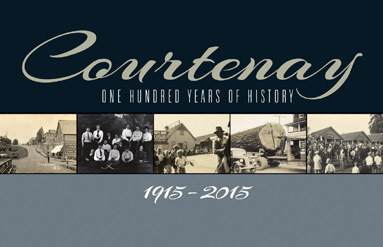 The proceeds from Courtenay 100 Years of History will go to museum programming," said John Wilson, President of the Courtenay and District Museum society. This affordable, 50 page full- colour magazine is available at the museum and the Comox Valley Echo office. Throughout this year, the museum newsletter will be providing glimpses into the back story on the City's Incorporation, history and development. An interesting note in the October 19, 1922 Comox Argus sheds some light on the City's early firefighting efforts. Once a fire was reported, the bell at St. George's Church was rung to alert the members of the brigade to the emergency. "The City Clerk is to write to the Board of Managers of St. George's Presbyterian Church asking permission to put a light near the Fire Alarm bell rope so that the bell can be rung without delay. It was at first suggested that this should be a red light, but it was decided that this might have a significance not intended." With Christmas being just around the corner, now is the ideal time for gift hunting. Children are fun to shop for but sometimes it is difficult to find the perfect stocking stuffers. 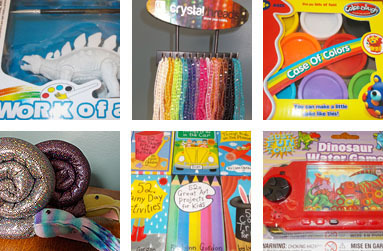 In our gift shop we have a ton of fun and reasonably priced gifts. Here are the top ten best sellers for $10 or under. Do you remember this mystery from 1980? 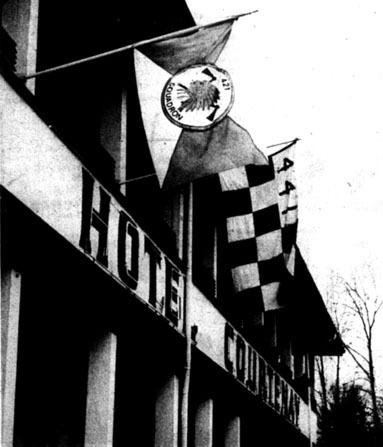 It involved WW II air force flags, the Courtenay Hotel and a couple of unnamed pranksters. Check out this article from the November 21st edition of the Comox District Free Press to get the full story. 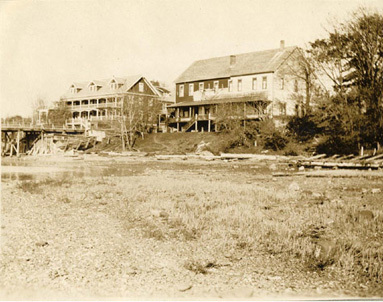 Purchasing a membership to the Courtenay and District Museum, now in its 54th year, supports heritage preservation in the Comox Valley through special events, lectures, education programmes, research and exhibitions. Your membership benefits these award winning programmes on a year round basis and we appreciate it! Becoming a member provides you with discounts in the gift shop and on lectures and an opportunity to support one of the most active regional museums in British Columbia. Thank you for your support. Daryl and Evelyn Wright - Francis Jewellers Ltd. If you're considering donating to a charity, please consider the Courtenay and District Museum. Your support goes towards education programmes, lectures and collection management. We provide a tax receipt to donors.